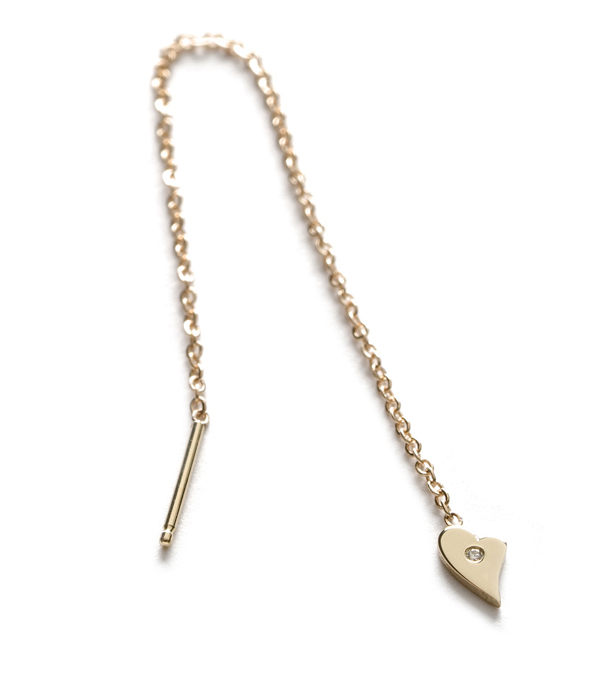 Oh so petit and sweet, this tiny golden heart ear thread makes one of the cutest accessories (ever). Set with a tiny diamond, this adorable single ear thread is a charming way to say, "I like you!" Half the fun with earring singles is creating unique messages with the symbols you pair together. We love the this single heart ear thread paired with our tiny star stud earring in a second hole. Mix and match several talismans to create your own secret messages. This mini 14K yellow gold and diamond heart stud ear thread is sold individually, not in a pair, and is hand made by our artisan jewelers in Los Angeles.